"A light, crispy but tender sugar cookie loaded with flavor. 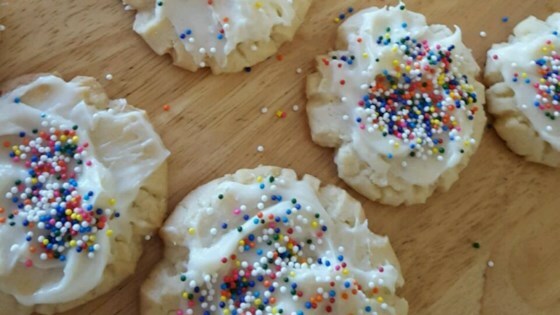 These cookies are especially requested at Christmas. They're easy and definitely a crowd-pleaser." WONDERFUL! I would suggest refridgerating the dough before rolling balls. WOW What a great recipe i love it and so did all my family i made them for christmas every one raved about it.will keep for ever in my recipe box thank you!